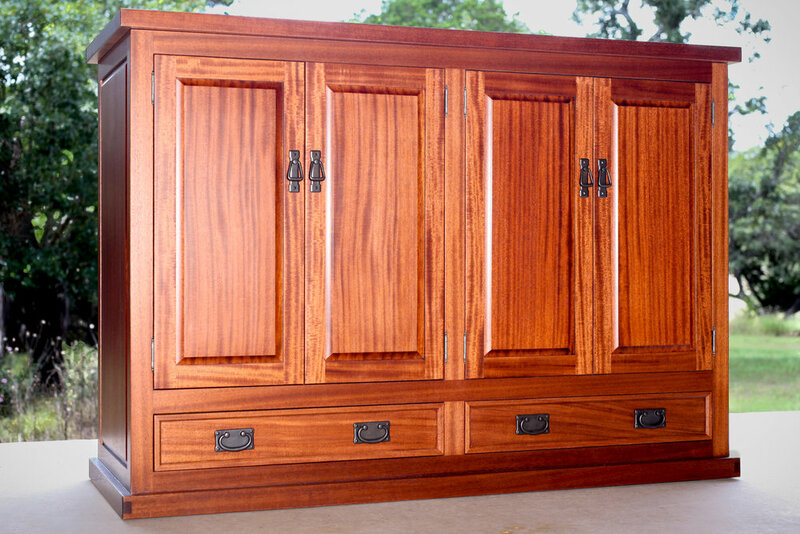 This mahogany television cabinet was made to sit at the foot of the clients' bed. The doors and drawer fronts are decorative. A flat panel television lifts out of the cabinet at the touch of a button for viewing. The TV and components can be installed and serviced through an access door in the rear.